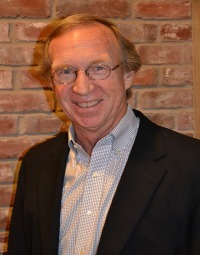 Richard has over 30 years of experience developing and executing growth strategies for entrepreneurial organizations. For the past nine years he has been a management consultant whose focus has been working with emerging entrepreneurial firms to develop, execute and finance strategies to grow their businesses. During five of those years he also served as a member of Inc. Magazine’s Growth Strategy Consulting Group while building his own consulting practices. Prior to this, Mr. Zahn served as chief executive officer of several different operating companies. In these roles, he was responsible for developing, implementing and funding growth strategies for the firms including both internal growth and growth through acquisitions. He began his business career as a commercial banker with a major money center bank. From there he returned to his hometown of Oklahoma City as Executive Vice President of a commercial bank and later served as an officer with a regional investment banking group. In addition he served as a member of the executive committee of a $400 million revenue family owned company in the retail industry. In addition, he has served on the Board of numerous civic and professional organizations. Mr. Zahn received his Bachelor in Science Degree from Yale University, graduating with honors and as a Phi Beta Kappa recipient. After serving as an officer in the United States Navy Supply Corps, he received a Masters in Business Administration from Stanford University.